In September 2018, the Government of Navarre, in collaboration with Enercluster – Wind Energy Cluster in Navarra, organized a Social Event in Hamburg to promote the wind energy sector in Navarre, coinciding with the Wind Europe Conference and Exhibition, one of the most important in the sector. 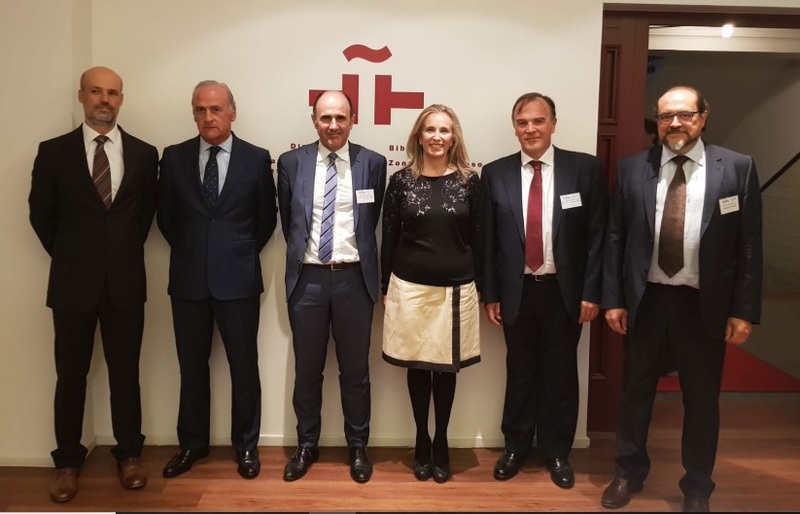 The event took place on September 27 at the headquarters of the Cervantes Institute in Hamburg, with the participation of the Vice President of the Government of Navarra, Manu Ayerdi and Izaskun Goñi, General Director of Economic, Business and Labor Policy. The Government of Navarra presented the potential of the sector in the region and the institutional support for it. The meeting was attended by executives and representatives of 130 companies, including Navarre companies in the sector as well as companies and reference institutions in the international wind sector.